Fantasy Hockey - A guide to get you started! No sport shakes up the traditional sports line more than the great sport of hockey. Many reading this have never been to a live hockey event and struggle to watch it on TV, finding it difficult to find that little black puck. The international appeal is through the roof as many countries that don’t enjoy tropical weather year round are suiting their citizens up with hockey gear and throwing them in a local arena. The sport is religion in many countries and even in some parts of America. Its fast paced, intense, contained and features some of the best athletes in professional sports. If you find that hard to believe, go to your local rink and rent a pair of skates and jump on the ice for a few minutes. Now fully equip yourself with gear and a stick and attempt to control a six-ounce rubber puck. If you somehow manage all of that, imagine a fully-grown man who is equally equipped who is willing to get that puck away from you. Its not easy and those who can do it on the professional level should be considered the finest of athletes. Still not sold? There’s a crazy alternative that allows you to watch as a true fan while engaging you in the sport, including the best players in the game and the rules. Fantasy Hockey, like any other fantasy sport that you play, is fun, challenging, and heightens the interest of an already interesting sport. Best of all, you can engage the game from your living room, though its highly recommended you check one of these games out in person. By now building a team of all your chosen players to compete against another manager in your league who has done the same is not a foreign concept, but doing it with NHL players likely is. Fantasy Hockey is not much different than other fantasy team sports, where a league containing usually 8-12 managers will measure the statistical performance of each team that each manager has selected. The National Hockey League (NHL) has supported this type of gaming for over 30 years in an effort to generate interest for the league. In the mid 90s newspaper publications would issue annual contests to their subscribers where they would have 16 blocks of about 8 players with an equal amount of skill level and offensive output. The entrant would choose one player from each block to create a roster of 16 players who’s points would be tracked through the end of the season. Often weekly awards were given out for most goals, assists and points for a given week. This format was challenging as it didn’t allow for any type of roster adjustment, so if your team started out poorly or sustained injuries to players your pretend team was quickly marginalized. Fantasy Hockey now, is much simpler and has many options including trading your players to other managers while receiving another player of value in return. Leagues have limits to roster size, but also give access to a free agent player pool in case you want to part ways with one of your players, because there is someone more productive available. Fantasy Hockey is no more or less time consuming than other fantasy sports you may play but it does make the sport exponentially more entertaining. To play Fantasy Hockey, you simply need to find the gaming site that best fits your needs and either create a private league or join a public league. A private league is typically you and a handful of people that you know who will compete against each other by seeing who can draft the best team. Public leagues are offered to anyone who just wants to jump in a league that has been created by one person. Once the league is full you’ll be competing likely against people you don’t know. Public leagues can be likened to a game of pick up basketball that you enter into by yourself, only to play against people you don’t know. There are two primary ways to obtain the players that you will have on your team. You can draft them or you can buy them. In a traditional draft format you are assigned a draft position and will draft a player when your assignment comes up. For example if you draft 3rd in a 10 team league, you will get the 3rd overall pick, and should essentially end up with the third best player in the league on your team. Consequently in the 2nd round you will most likely draft 18th as the 10th manager drafting will get the 1st pick in the 2nd round. In an auction draft you are given a budget, and you will fight other managers in the league for the players you want, while letting other managers duke it out and spend their cash on the players you don’t want. Just to confirm, this is not real cash, so feel free to spend big on the player you want, just don’t be bummed if you are having to scrounge at the end of the draft to buy other players on the cheap. League settings will vary, but traditionally a roster will have 6 forwards, 4 defensemen and 2 goalies with 4-6 players on your bench. The forwards will be broken up by left and right wings and centers. Your bench is equally important, as these are the guys that will fill in for your injured players. The stats traditionally tracked are goals, assists, plus/minus, penalty minutes, hits, face offs won, blocked shots, power play points and for goalies, wins, shutouts, saves, and goals against average. It’s important to remember, every league is different, some may reward extra credit for hat tricks and some may not. There could be a cap on transactions, including trades and free agent pick ups as well, so you’ve been warned. In weekly leagues sites such as DRAFTKINGS, FANDUEL or StarsDraft who offer daily leagues for most sports host dozens of leagues per week. You have to pay to play, but if your team is successful you win cash back. It is ultra competitive and players on these sites because of the investments they have made know what they are doing. A more mild-mannered option would be to play fantasy hockey on yahoo.com or on espn.com. You can create your own league, or join a public league. These leagues are free, and you can get in a league with your friend and draw up the settings however your want. Its hard not to get addicted to fantasy sports because it embraces so much of who we are as humans. We want to compete, win succeed, socialize with friends and derive enjoyment in what we do. 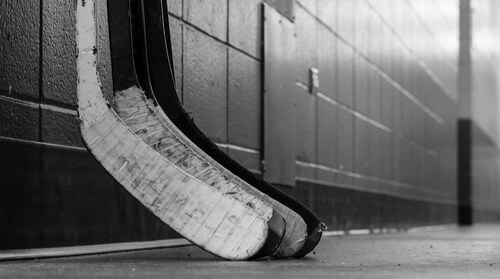 We love sports, and having a team or player to root for and Fantasy Hockey affords us the opportunity to do all that. If you haven’t tried it yet, there’s no better time to take the plunge, you may learn something new about the game and yourself.